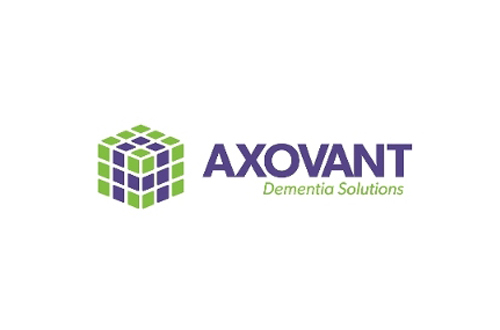 Axovant Sciences has started pivotal trials of its Alzheimer's drug candidate RVT-105, as it vies to bring the first new treatment for the disease in a decade to market. The first patients have been enrolled into the phase III trial of RVT-101, an orally-administered serotonin 5-HT6 receptor antagonist that Axovant acquired from GlaxoSmithKline (GSK) for a down payment of $5m last December. The trial - called MINDSET - is due to enrol 1,150 patients with AD who are already being treated with the cholinesterase inhibitor donepezil. It will examine the effects of a 35mg once-daily dose of RVT-105 and if successful could put Axovant on course to file for approval in 2017. Axovant is taking a gamble on RVT-101, which was put on hold by GSK after the drug achieved what it perceived as modest effects at best, in more than a dozen trials involving around 1,250 patients. As a monotherapy it performed no differently to placebo, and when given as a combination with donepezil showed some benefit on some measures, but not others. The US company insists that the combination study showed statistically significant improvements in cognition and function in mild-to-moderate AD patients and - if it can recreate that in MINDSET - it will have a path to approval. Investors in the company are also gambling on the outcome of the trial, and provided Axovant with $315m in proceeds from its initial public offering (IPO) earlier this year that will fund the drug through late-stage testing and potentially onto the market. While most drugs in development at the moment for AD are targeting the amyloid beta protein found in the characteristic plaques that are seen in the brains of patients, RVT-101 takes a different approach. Antagonism of the 5-HT6 receptor is a novel mechanism of action that according to Axovant promotes the release of acetylcholine as well as other neurotransmitters thought to improve cognition and function. Current drugs used to treat AD also target neurotransmitters but have limited efficacy. While some patients get improvements in cognition and memory, the progressive nature of the disease means that these benefits tend to be short-lived. The hope is that RVT-101 might improve the responses seen with current drugs, although a real breakthrough in AD can only come when a treatment is able to interrupt the underlying disease process. Axovant is not the only company looking at this approach however, one reason why the scale of its IPO - which valued the firm at more than $2bn at the time - raised eyebrows among analysts. Lundbeck and Otsuka also have a 5-HT6 antagonist called idalopirdine (Lu AE58054) in phase III trials that are due to report data between November and mid-2016.